Many people wrongfully assume anyone who rides a motorcycle is accepting a greater amount of risk on the roadways, and is therefore entitled to fewer rights. This is a fallacy. 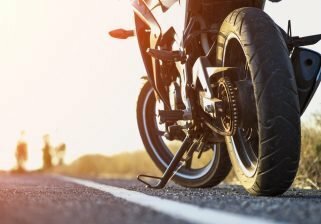 Motorcyclists have just as many rights as the drivers or passengers of any other motor vehicle, and this is especially true in the event of a motorcycle accident. Reckless and careless drivers cause many motorcycle accidents, and unfortunately, it’s the person on motorcycle that pays the price. A car passes too close to a motorcycle. Cars generate a gust of wind when they pass a motorcycle. If a car does not give a motorcycle enough space, the gust of wind can be so powerful it can cause a motorcycle to lose control and crash. A car rear-ends a motorcycle. Distracted or inattentive drivers that take their eyes off the road are putting others at an extreme risk. Because cars are much larger than motorcycles, there is no such thing as a simple fender bender between them. Rear-end accidents with motorcycles can cause severe injuries. A car brakes too quickly when driving in front of a motorcycle. While drivers aren’t always in control of the driving conditions in front of them, recklessly braking too quickly while driving in front of a motorcycle can cause a serious collision. A car turns or changes lanes without looking for motorcycles. Drivers should always look before turning or changing lanes; unfortunately, this doesn’t always happen and motorcycle accidents result. Motorcycle accidents rarely cause minor injuries. Victims often suffer neck and back injuries, traumatic brain injuries (TBIs), paralysis, broken bones, and are sometimes even killed. Recovering from these injuries will be incredibly difficult and long. Victims often miss months of work resulting in lost wages and are burdened with cost of expensive medical treatment. Because the financial burden of a motorcycle accident can be so devastating, victims should partner with an experienced motorcycle accident lawyer so they can focus on pursuing rightful compensation while victims focus on getting better. At Sahadi Legal Group, we work to put our clients’ minds at ease. Overcoming injuries from motorcycle accidents will not be easy, so we want our clients to devote all of their energies on recovery, and we take care of the rest. If you were injured in a Corpus Christi motorcycle accident, call us today for a free consultation to discuss your case.